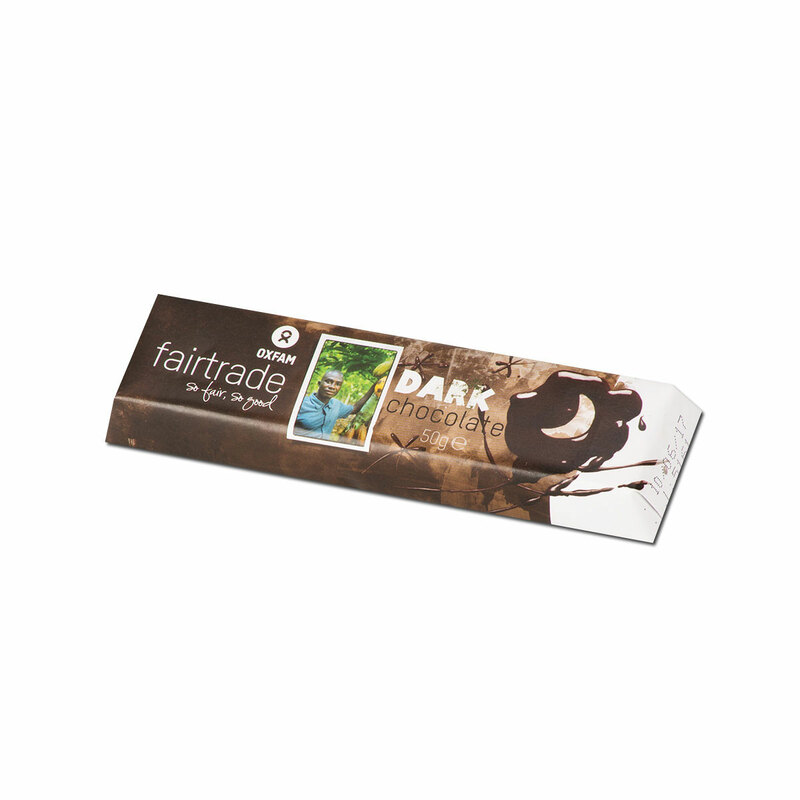 Get the day off to a delicious start with our delightful Oxfam Fair Trade Family Breakfast gift set. 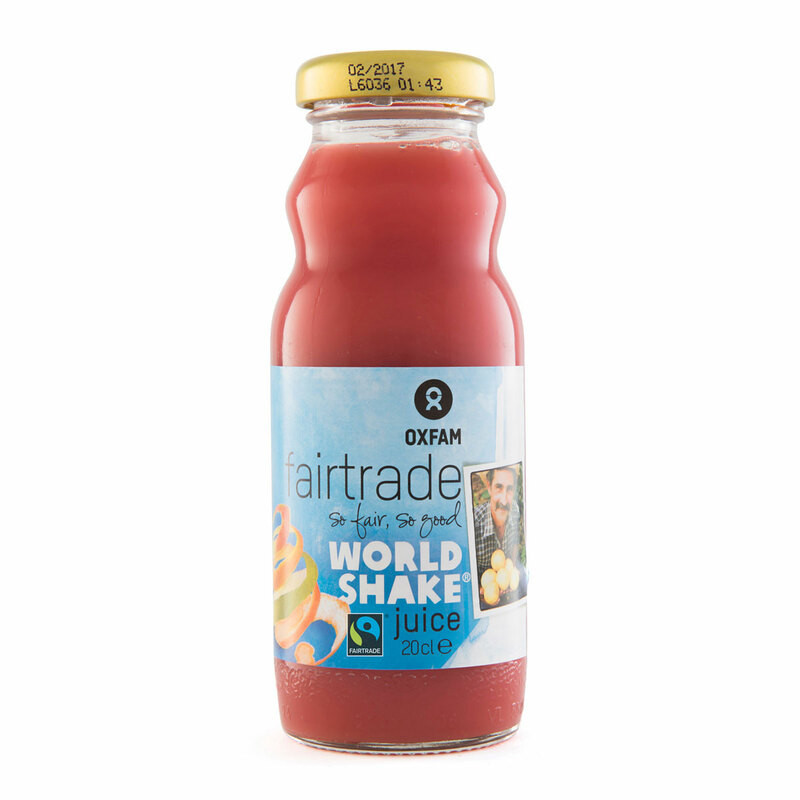 Gather the family to share Oxfam's irresistible honey cake and chocolate dessert with organic tea and Fair Trade juice. 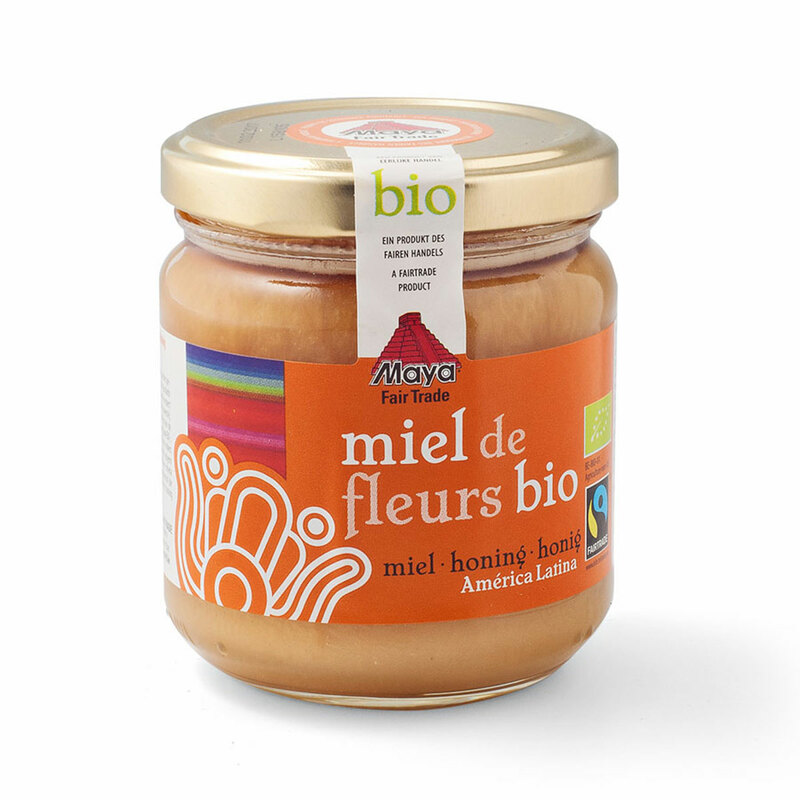 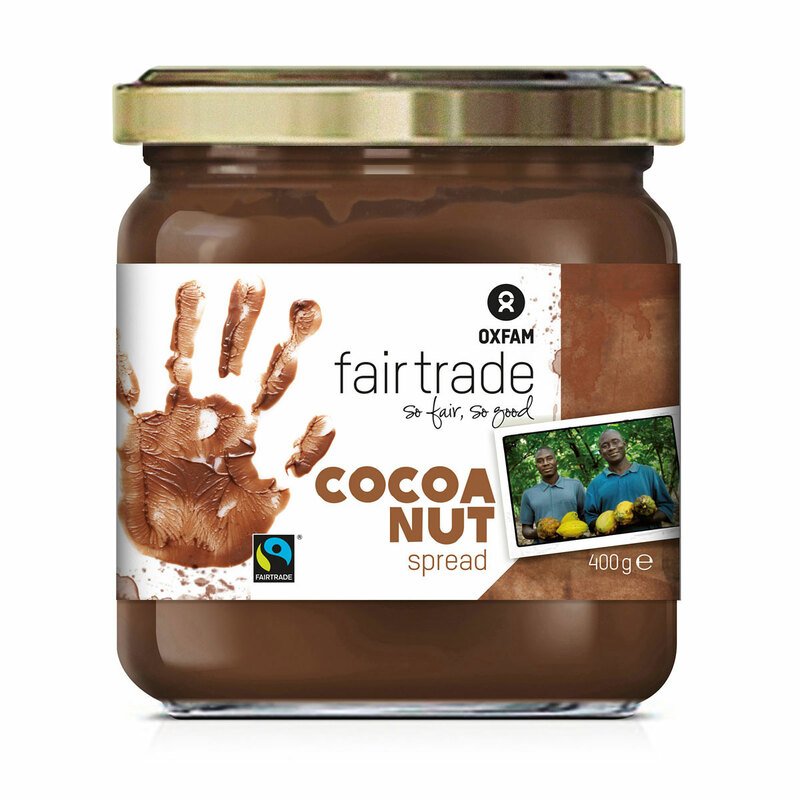 The gift also includes heavenly nut chocolate spread and organic Fair Trade honey cream. 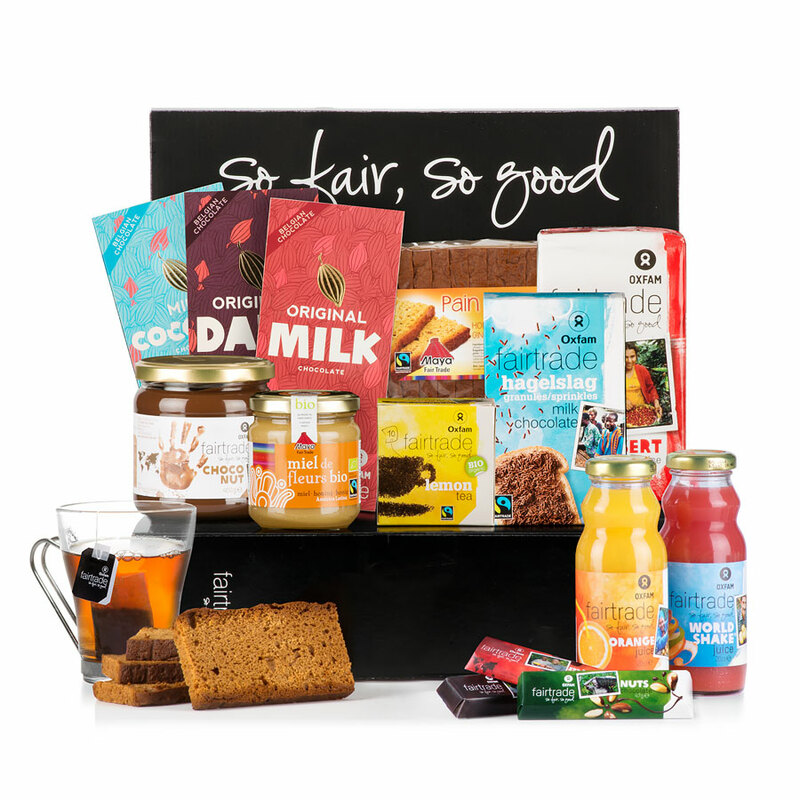 Just for fun, we've also packed a scrumptious assortment of Fair Trade milk and dark chocolate bars, tablets, and chocolate confetti into the elegant black gift box. 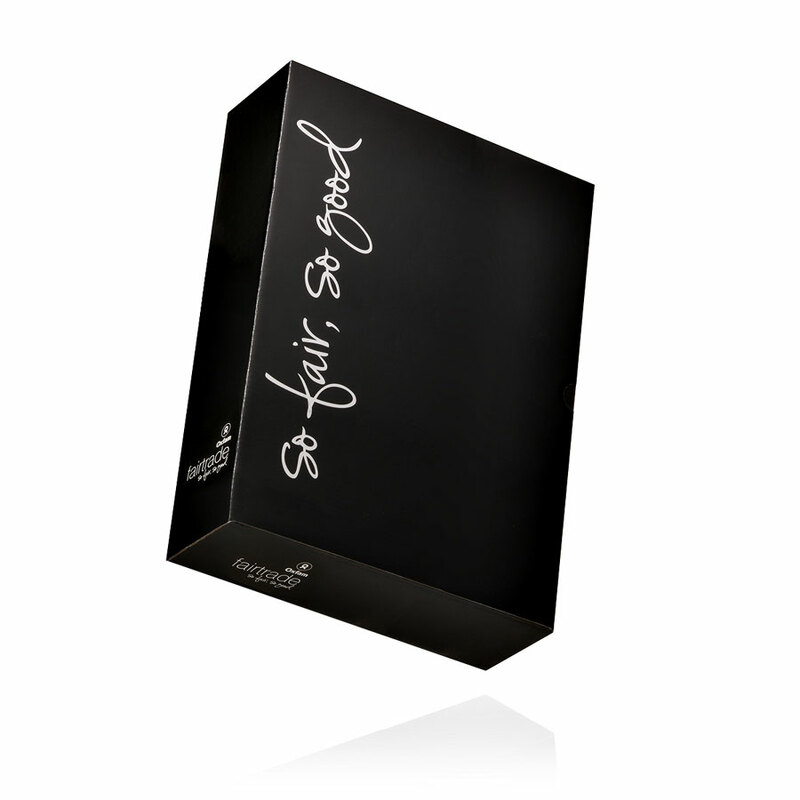 This is one of our best gift ideas for families at the holidays or any time of the year. 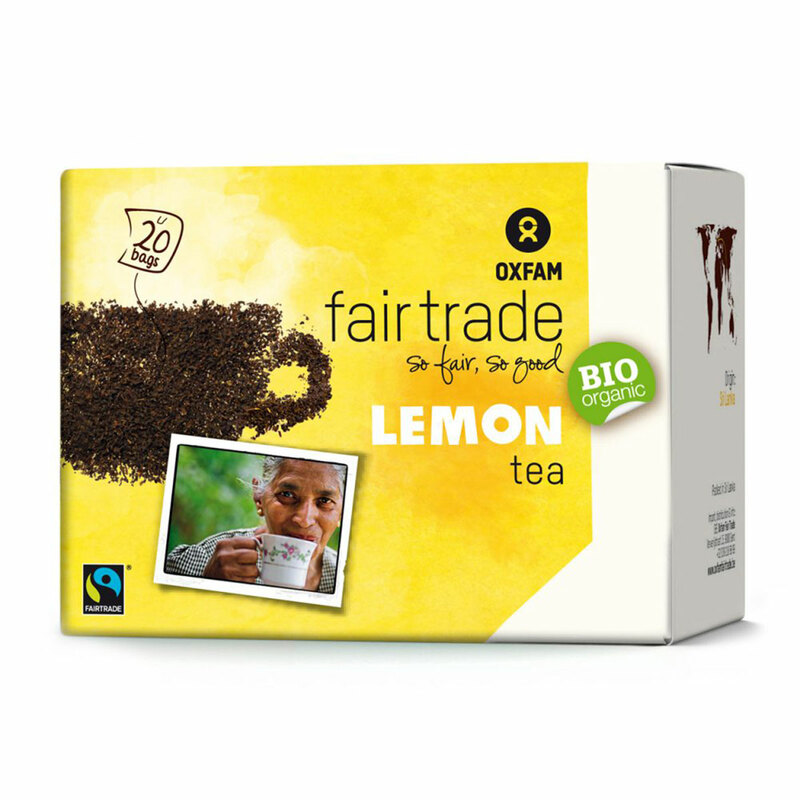 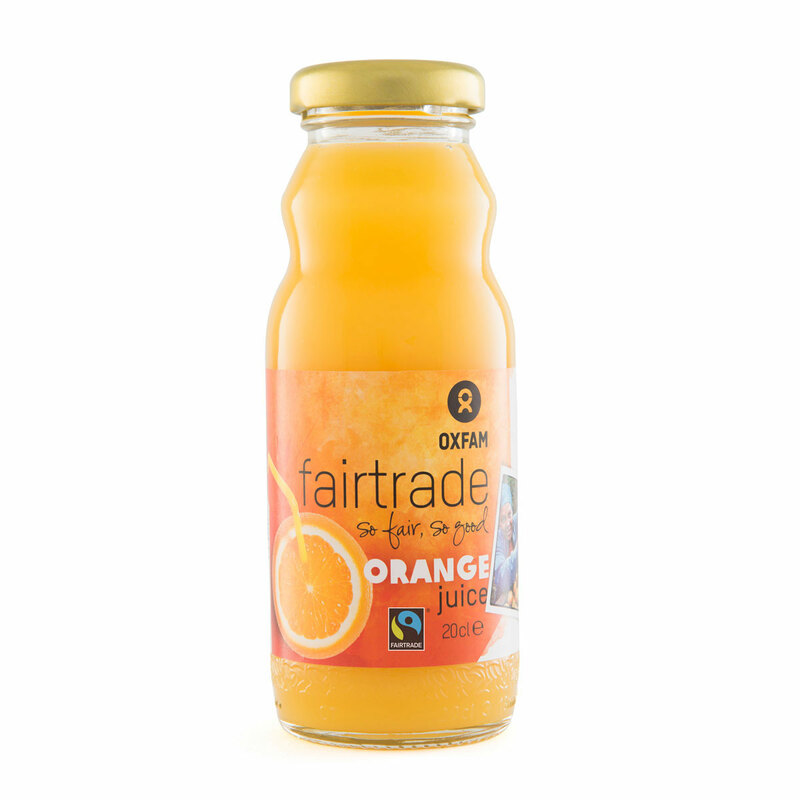 Oxfam is a leader in Fair Trade products. 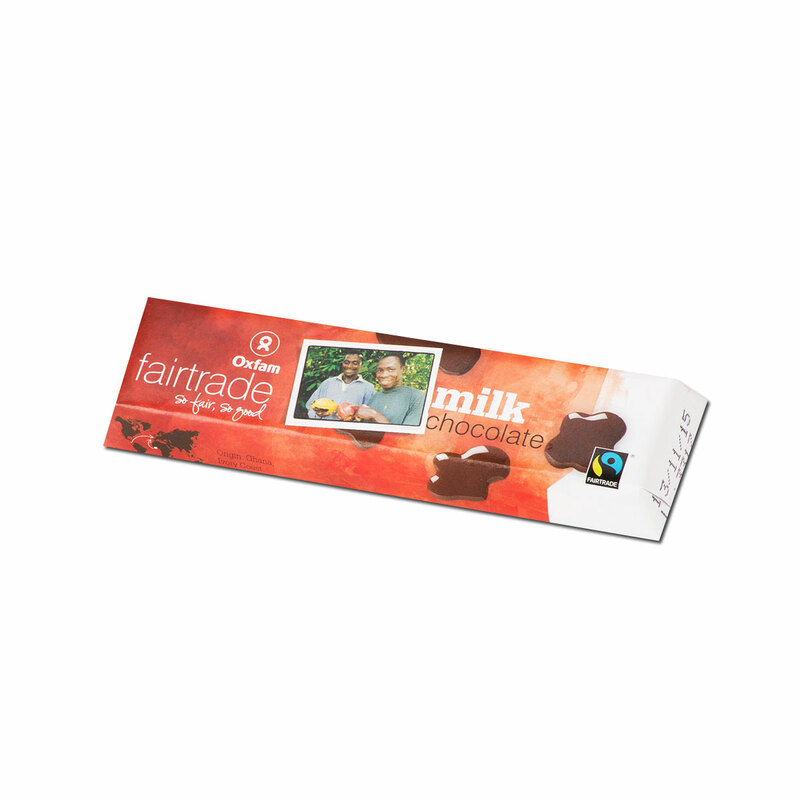 They guarantee long-term collaboration and pay a premium above the fair price to their cooperative partners. 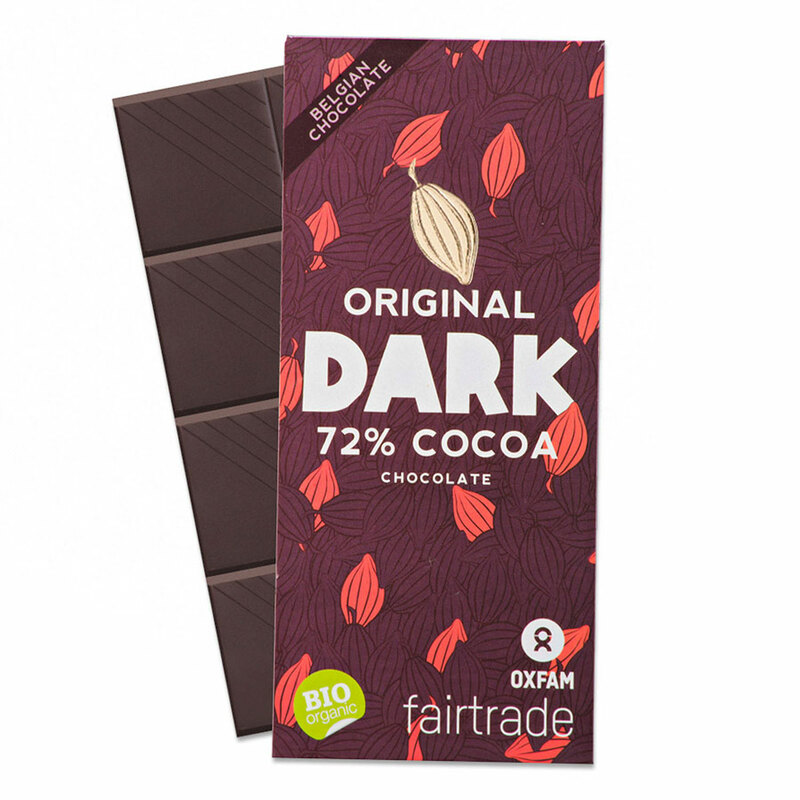 Oxfam products are ecologically sustainable, and over 40% are certified organic. 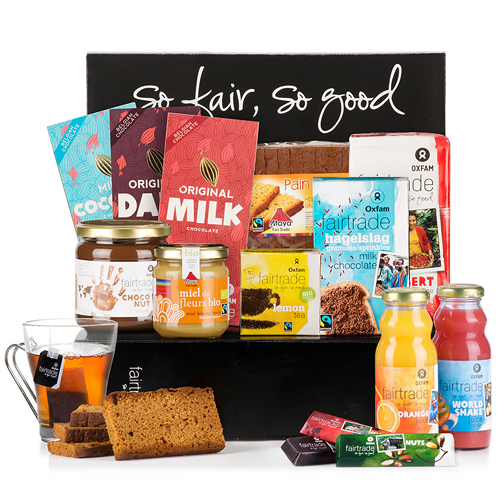 Please note that we cannot guarantee a specific delivery time. 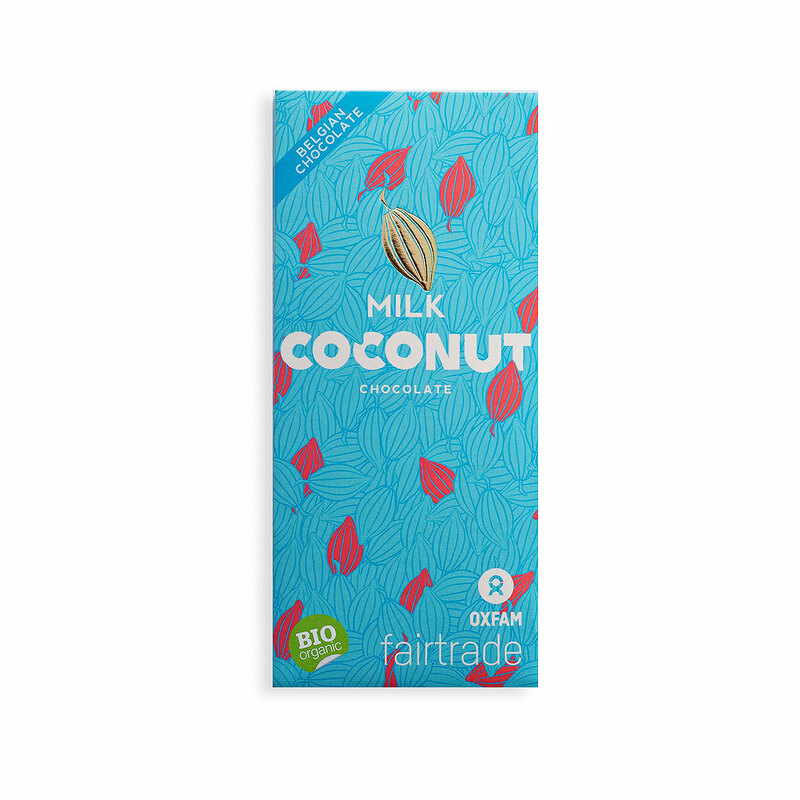 Ingredients: Cocoa mass, cane sugar, cocoa butter, cocoa nibs (2%), vanilla. 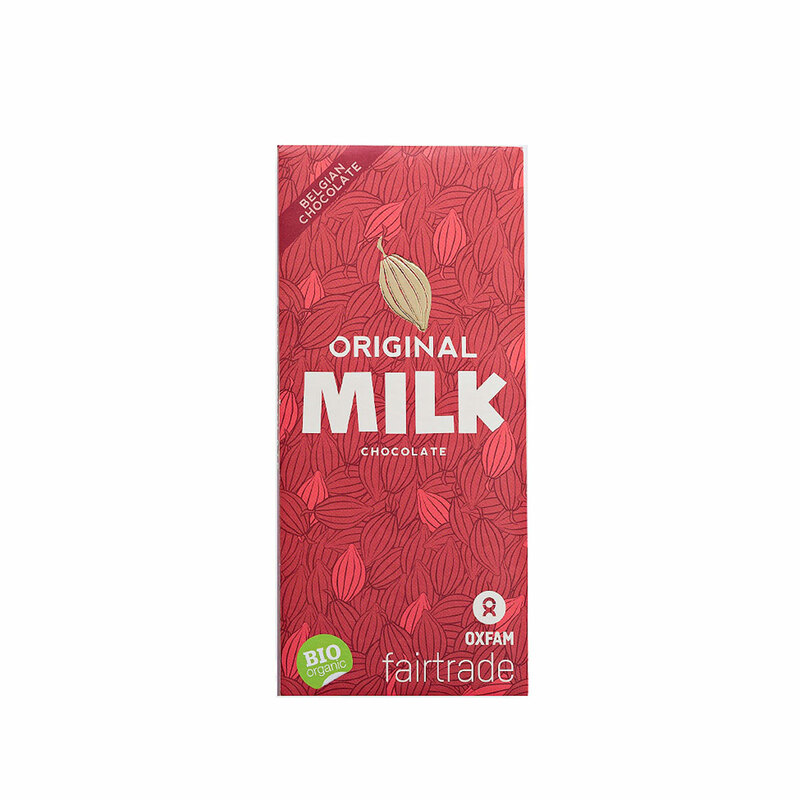 Allergy Advice: Mag contain traces of soy, milk and nuts.